An investigation into the traffic crash that killed Josiah Pinner, 15, is ongoing, Hillsborough Sheriff Chad Chronister said. The teen was crossing a street under a red traffic light and was not in a marked crosswalk. 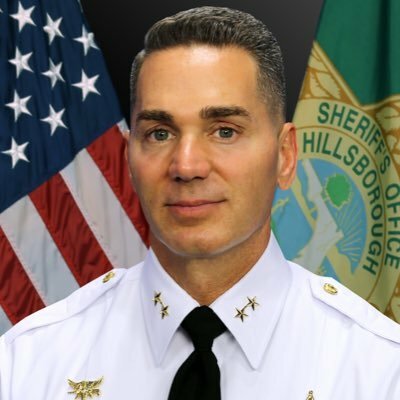 HILLSBOROUGH COUNTY – An undercover Hillsborough deputy who hit and killed a teen on Florida Avenue was traveling 21 miles per hour above the speed limit, Hillsborough County Sheriff Chad Chronister said. Chronister was speaking during a press conference today (Jan. 22) about the Jan. 11 crash that killed 15-year-old Josiah Pinner. The sheriff said he spoke with Josiah’s family before the press conference. Philip J. Montesi, 29, has worked for the Hillsborough County Sheriff’s Office since March 2013. SInce then, Montesi has been involved in three traffic crashes: April 16, 2016; Feb. 24, 2017; and Sept. 12, 2017. The sheriff’s department motor vehicle crash review board ruled two of the crashes “unavoidable” and the remaining crash “excusable.” Montesi will be referred to the Professional Standard Section for review of any possible violations of standard operating procedures during the Jan. 11 incident. He is currently on the job. About 6:25 p.m. Jan. 11, Montesi was traveling north on Florida Avenue in an unmarked 2011 silver Hyundai Elantra in an undercover capacity with a marked Hillsborough County Sheriff’s Office patrol vehicle following about 30 yards behind him. Two teenagers were walking westbound on 124th Avenue approaching the northeast corner of Florida Avenue. One teenager was walking his bike while the other, Josiah, was walking a short distance behind. They walked into the northbound lanes of Florida Avenue without slowing and against a solid red traffic light. Deputies said the teenagers chose to cross the roadway in a direct path from the northeast corner of the intersection to their destination of Halliday Park Drive instead of using the marked crosswalk on the south side of the intersection. Montesi approached the intersection of 124th Avenue with a solid green traffic light traveling at 66 mph in the 45 mph zone. Deputies said he saw the teenager who was walking his bicycle across his path and made a lane change from the inside (left) lane to the outside (right) lane to try avoiding an impact. Josiah was trailing behind and was hit Elantra. Montesi continued past the area of impact, got out of his vehicle to conduct a cursory inspection of the car and then returned to the area of impact. This was not a hit and run, Chronister said. Deputy Andrew Van Guilder stopped his marked patrol car to render aid and call for paramedics. Both deputies remained at the scene until additional units arrived and Hillsborough County Fire Rescue came on scene, Chronister said. Josiah died at the scene. Vehicle inspections for both the 2011 silver Hyundai Elantra and the marked patrol vehicles are not finished, Chronister said, but there is no reason to believe anything, such as equipment failure, that would affect the outcome of this investigation will be found. The witness walking with Pinner was interviewed by deputies at the scene. There were four witnesses (besides the teenager with Josiah) who indicated the westbound 124th Avenue light was red. Chronister said the department has photographic evidence indicating the deputies traveled through the intersection on a green light. The Hillsborough County Medical Examiner is conducting toxicology on Josiah. The traffic homicide section isconducting a reconstruction of the crash. Chronister said that would take at least 30-45 days to complete because of the time it takes to get toxicological reports, driver history, etc.